This is your annual reminder that winter is coming to turn your classic automobile into a crumbling mound of Fe2O3. 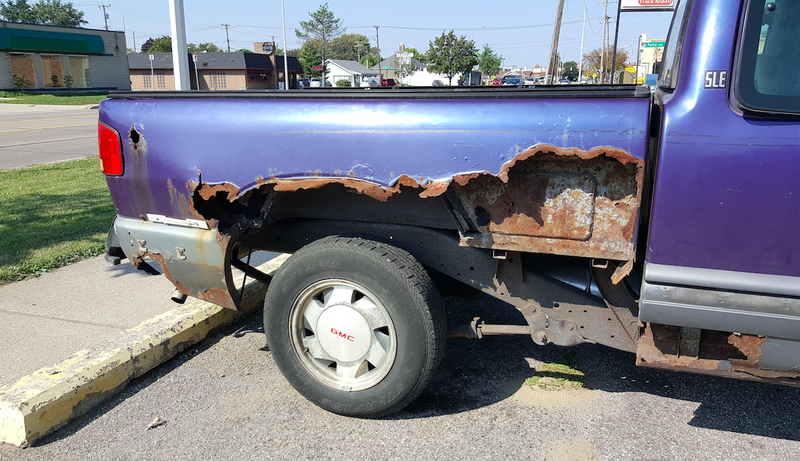 This GMC Sonoma that I spotted (in Michigan, of course) lost half its bed to old-man winter; don’t let this happen to your beloved machine. Be responsible, and buy a beater.